One of the leading energy providers in Britain is launching a new care product for domestic central heating systems. Npower is hoping its new policy will attract more customers at a time when many households are feeling the pinch of the struggling economy. The care product provides comprehensive gas boiler cover in addition to full support for controls and radiators. The policy also features inclusive parts and labour, an annual boiler service and 24/7 telephone support. Npower will even replace boilers aged under seven years that are beyond economic repair. What makes the package special is that it is priced at just £15 per month, making it one of the more competitive products available. It will also be available to any new boiler care customer, so there is no need to switch energy suppliers. Announcing the new product, Npower’s Emily Stagg said: “Research shows that 51 per cent of homeowners would feel annoyed at the expense of a boiler breakdown, so investing in boiler care can offer worthwhile peace of mind should anything go wrong”. 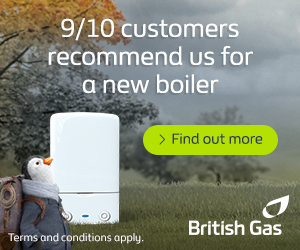 Ms Stagg added: “At Npower, we’re always looking to improve our customer offering and this competitive product offers good value for homeowners looking to protect their boiler and central heating all year round. “As part of the service, we’re able to offer a comprehensive 30-point boiler service and safety check with one of our Gas Safe registered engineers, which means we will ensure [that] your system is working properly and then be there for you all year round”. Protecting central heating systems throughout the year is sensible because boilers, controls and radiators do not only suffer problems during the winter. Ensuring that a boiler is checked before the cold months set in can save a household considerable time and money. The main benefits of central heating care products are cost and convenience. A broken down boiler can cost hundreds of pounds to repair or replace, while few people would want to go too long without heating in winter. Boiler insurance and central heating care policies provide peace of mind for homeowners, many of whom seek to make additional savings on energy by installing loft and cavity wall insulation.